These days, urban spaces are being defined with bold statement interior design. Industrial design in particular has made its way up the leader board in the world of kitchen design. And it’s looking exceptionally stylish. 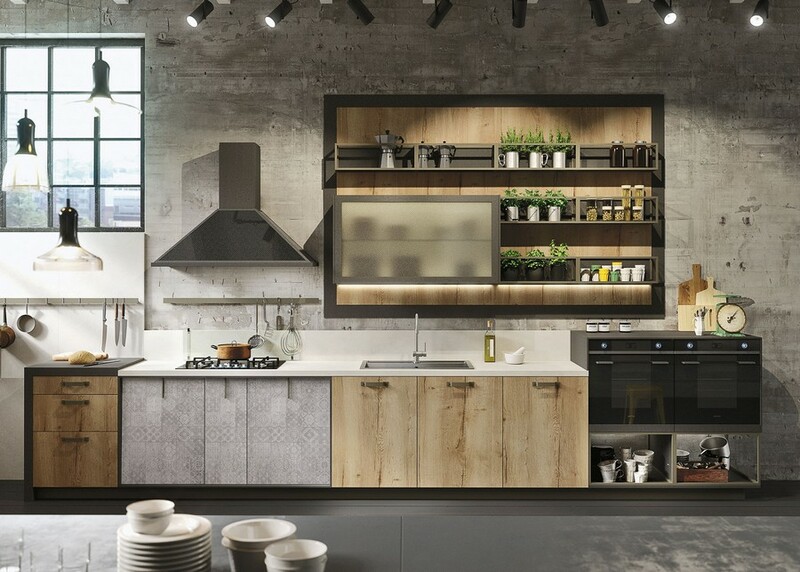 If you’re wondering what to do with your city kitchen that has seen better days, bringing it into the 21st century with an urban chic theme is definitely a smart move. 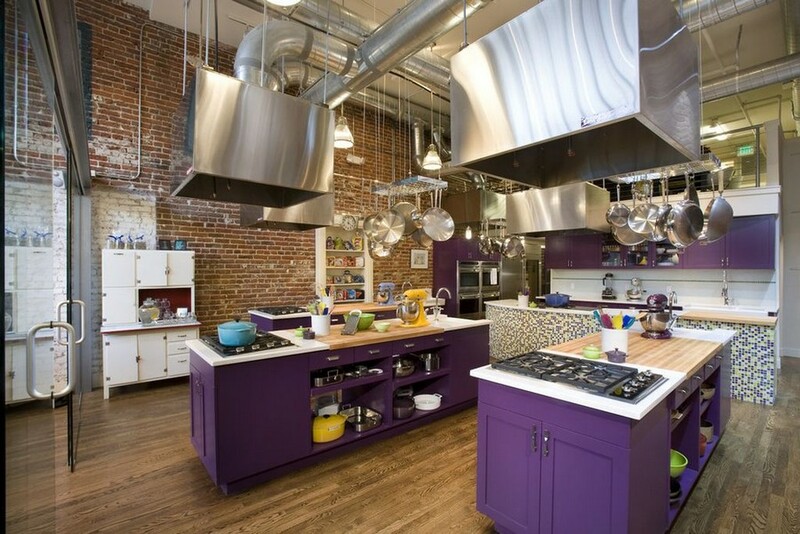 We love urban kitchen design. It’s bold. It’s brave. It rocks. If your city kitchen needs to be updated, why not make the most of the opportunity. Industrial design works. It looks cool. And it’s here to stay. Once reserved for the trendy Manhattan urban lofts, industrial design is making its way into a whole range of city and suburban dwellings. Even contemporary builds in the countryside are embracing this design fad. Why? It’s functional, practical and distinctly stylish in a very cool way. If you want to bring cool urban chic to your lacklustre kitchen, read on for some very impressive tips from Dakota Murphey, interior design specialist working alongside The Brighton Kitchen Company. You need to get the background spot on. Your walls and floors are like a picture frame. You know how it is. Put a beautiful picture in a cheap and average frame and it doesn’t look quite right. But put that picture in a stylish frame and the whole scene sings. Are you with us? Think exposed bricks, sleek or rustic tiles or concrete for the walls. Wood, concrete or vinyl floors work equally well in this environment. If you’re going vinyl, keep it sleek and in a muted colour. Grey is good. Weathered dark wood looks fabulous too. And concrete, well it fits the bill perfectly doesn’t it. Don’t be afraid to mix it up. Combinations look even cooler. Of course not really dangerous, but for the absolute industrial edge leave metal beams and ventilation pipes exposed. Shh, if you haven’t got them you can fake it. We won’t tell. Or go bold with colours. 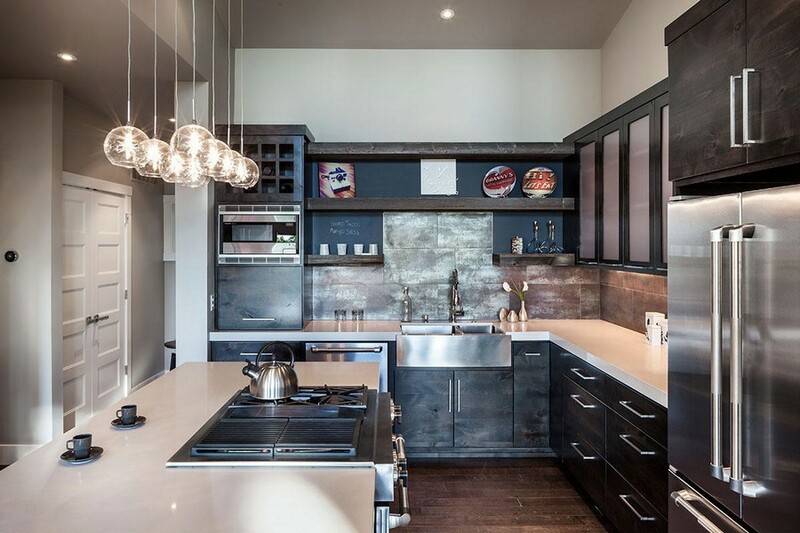 Dark grey looks amazing in kitchens with high ceilings. You’ll have to be careful with darker ceiling colours in smaller spaces. Lighten the shade a few notches and you’ll get away with it. You want chic not gloomy. 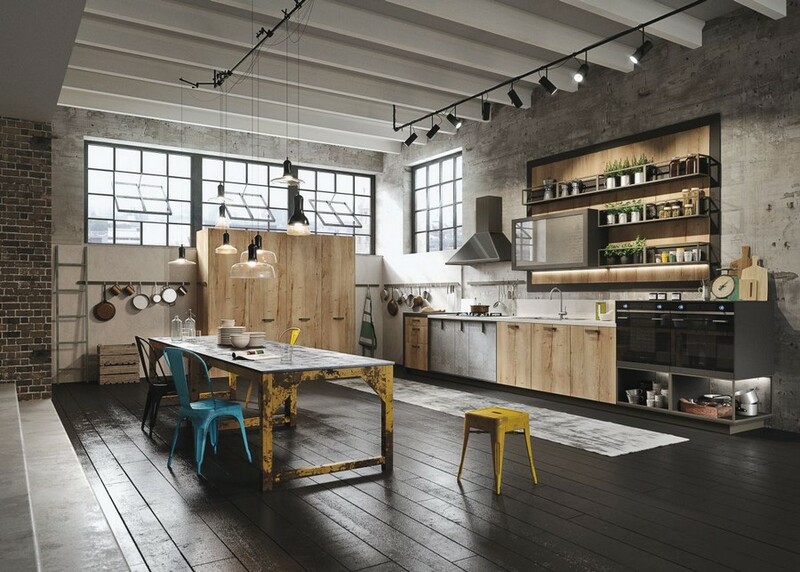 With your walls, floors and ceiling setting the scene, you’ll need to choose your kitchen cabinets and appliances carefully to fit in with the industrial theme. Sleek white cabinets work well with high-gloss black appliances. Stainless steel obviously does the trick, but don’t overdo it. Darker colour cabinets work if walls allow it. They’ll need a brighter background, otherwise the dark colours can overwhelm and feel a tad depressing. Matt dark-brown cabinets are fab. Islands need to be bold, in colour and design. Open wooden shelving with metal brackets really works in an industrial-themed kitchen, and if you’ve gone for a wood floor, it creates some continuity and flow. Open shelving is so great in an industrial-style space. It allows you to display some of your cast iron kitchen ware and industrial-style appliances. Or if you prefer to bring a softer feel to the whole industrial theme, your shelves are the perfect space to soften the mood. Freestanding metal framed shelving also fits stylishly into the industrial theme. If you’re feeling really creative, you could work your DIY magic with galvanized pipes and reclaimed scaffolding. Lighting can really be the icing on the cake when it comes to great kitchen design. When you’ve layered up your design so imaginatively, you’ll want to keep that flow going when it comes to lighting. Functional and ambient illumination are really important, as well as cool design. Floor lighting, cabinetry lighting and shelving lights are nice touches and worth the expense. And just as important is that statement ceiling light. It rounds off the whole industrial theme with aplomb. Think factories and warehouses. Go large. A series of pendants works well, but is quite safe. There are so many magnificent lighting designs out there. Definitely go mad. Let your imagination run wild, but keep it quirky and cool. Get to work. 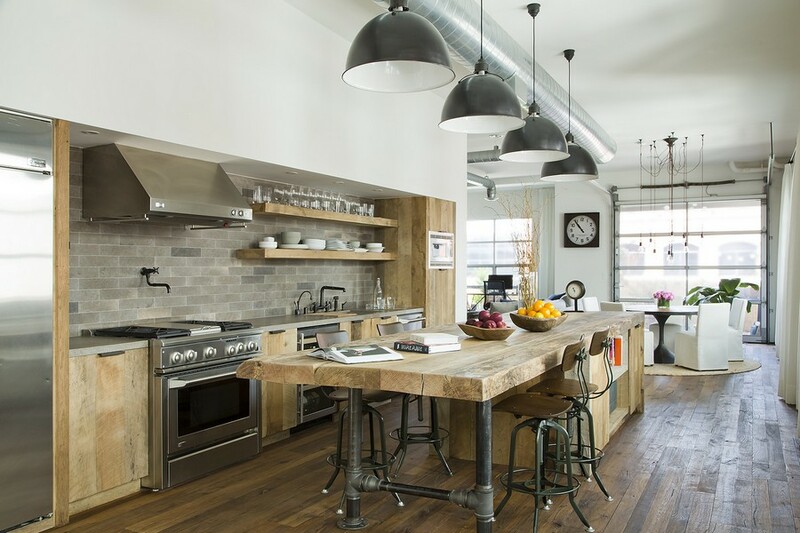 We know you’re going to love your new industrial-style kitchen. If you’re still completely clueless, give our brief to your kitchen designer and let them do the hard work for you.